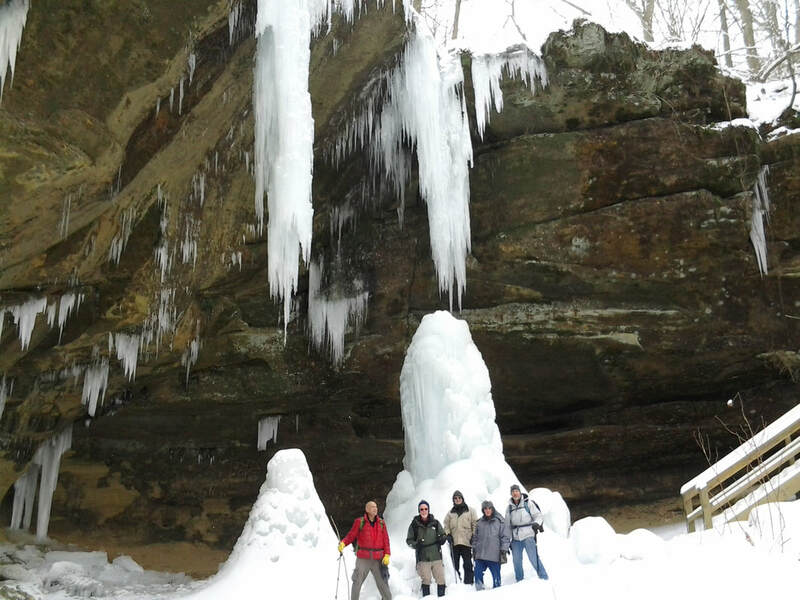 Mohican State Park and Mohican Trails Club to Host 13th Annual Mohican Winter Hike on January 14th. First 100 hikers to register will receive a complimentary hiking staff made by ODNR staff. 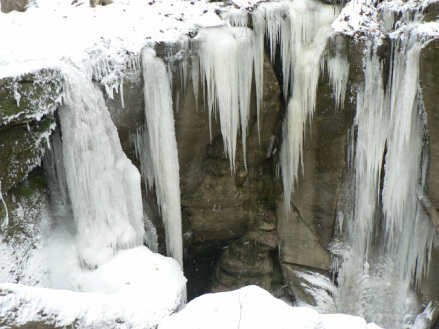 LOUDONVILLE, OH –Winter is an excellent season to see native wildlife, birds and majestic trees while hiking. 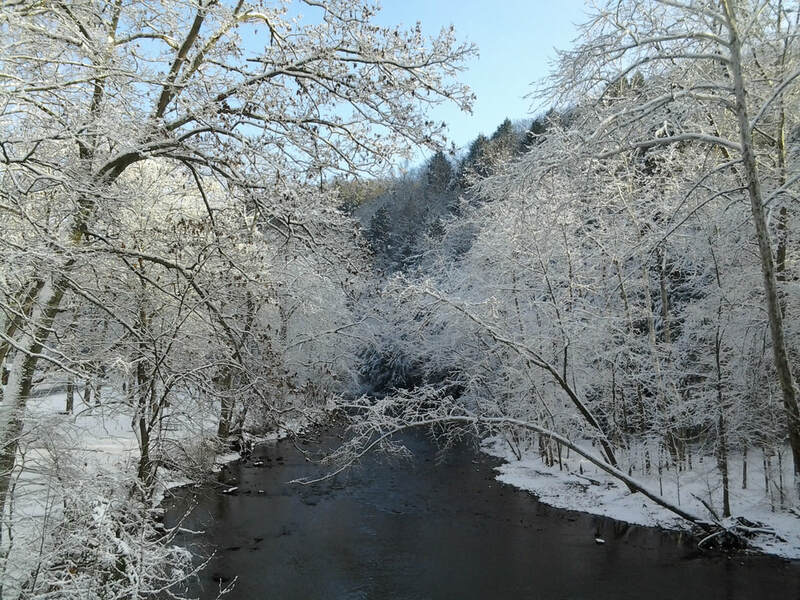 The 13th annual Mohican Winter Hike will be held on Sunday, January 14, 2018 at 10 a.m. at Mohican State Park. The hike begins at the Mohican State Park commissary, which is located at the park’s Class A campground, just south of Loudonville on State Route 3 in Ashland County. Three general hikes - a 5K, a longer 10K and an interpretive hike are planned. Trails run from moderate to difficult. The 5K and 10K hikes will be led by volunteers from the Mohican Trails Club. The interpretive hike will be hosted by an Ohio State Park Naturalist. The hikes will begin and end at the commissary. Warm fire, hot soup, cookies and drinks will be provided after the hike. Sponsored by the Mohican State Park and the Mohican Trails Club; this event is FREE and open to the public. Mohican Regional Trail Guides are available at the event. Donations received from these trail guides are used by the Mohican Trails Club to help fund trail improvements. Mohican State Park and Forest offer outstanding beauty and limitless opportunities for visitors to hike and explore one of Ohio’s unique natural regions. The Clearfork Gorge, with its towering 200-year-old Eastern hemlocks, and the meandering Mohican State Scenic River offer wilderness experiences for all outdoor enthusiasts. More than 50 miles of trails are available for hiking, mountain biking and horseback riding. ODNR ensures a balance between wise use and protection of our natural resources for the benefit of all. Visit the ODNR website at ohiodnr.gov. resources for the benefit of all. Visit the ODNR website at ohiodnr.gov. Annual Summer hike starts at the Covered Bridge picnic area. Additional information in near future.